This new Fargesia, formerly thought to be a form of nitida, is becoming known for the intense red color of the new culms. They then age to a mellow yellow (remember Donavon's cool song?). 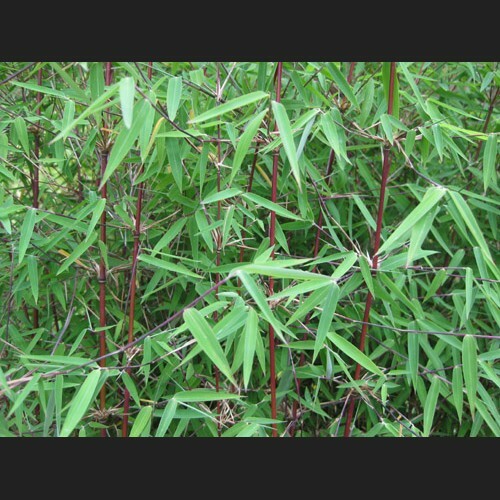 Unlike most other Fargesia, 'Jiuzhaigou' needs to be planted where it gets enough direct sun (preferably morning sun) to turn the culms red. Care must be taken in warmer climates or it will suffer from too much of the needed sun. The leaves, like many Fargesia, will curl in the sun but when the shade returns they will unfurl. 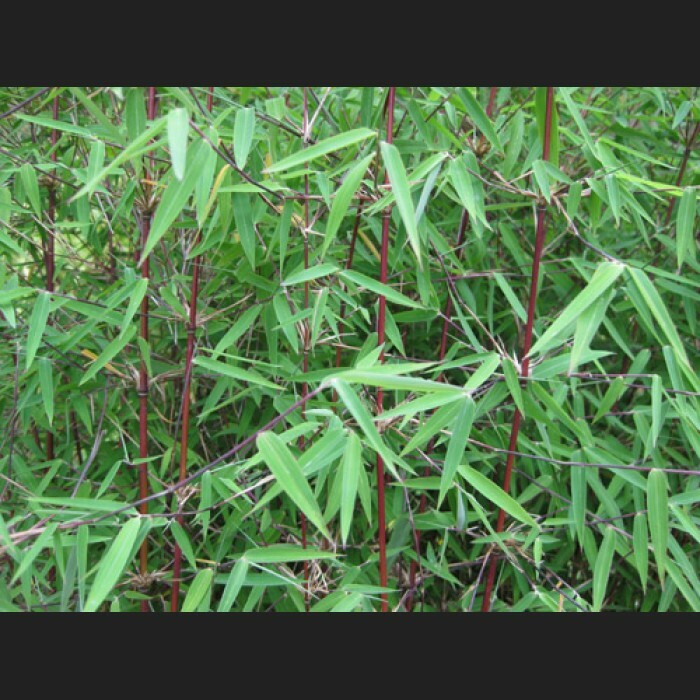 The leaves are very small; among the smallest of any Clumping Bamboo, and are reddish at first, fading to a light green. It is also a fairly upright member the Fargesia genus, due the very small leaves not bearing much weight on the tops of the culms.